Just as we imagine the sorts of people who embody the style of Marc Jacobs, Prada or Alexander McQueen, I’ve always loved imagining the characters that inhabit interior spaces. Many of you already know my love of interior design, and many of you know my passion for writing. So, let’s do both. Why not? This isn’t your typical beautiful rooms list. These rooms are alive. Here are beautiful rooms and the characters who inhabit them. 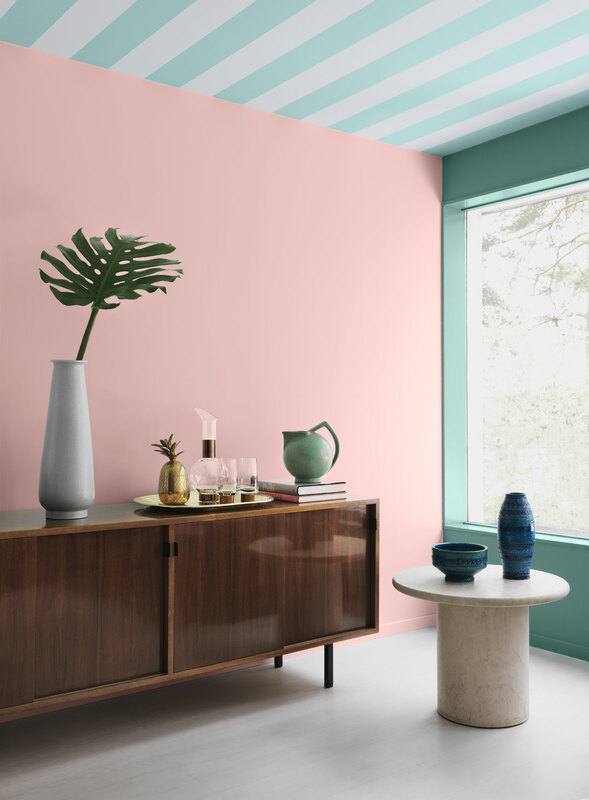 It’s time for pale pink to step into all of her variations. She reads Jane Austin. She goes braless. She once slapped a guy for disrespecting her dog. She reads Charles Baudelaire. She orders Amaretto sours at the bar. She thinks dogs are more trouble than they are worth. Her plants are her pets. She listens to Joe Pug. She drinks her coffee black. She can dance for hours with barely any rest. She reads Virginia Woolf. She expects everyone to dress elegantly for her dinner parties. She spends hours gardening on the weekends. She reads Edgar Allan Poe. She chews her nails when she’s stressed. Bread and butter is her favorite meal. She reads Dostoyevsky. She’s fascinated by any talk of astronomy. Her and her kids twice a year ditch school and work for a good time. She reads Sylvia Plath. She drives like a runaway bank robber. She’s writing a dystopian novel that centers around bicycles and women’s dresses. She doesn’t read much. She prefers documentaries. She’s working on her own film currently, about women and travel. She reads Emily Dickinson. She likes to play her guitar on Saturday afternoons. She’s terrified of deep water. She reads Domino Magazine. She’s saving up for a scooter. She chews gum like a camel. She reads F. Scott Fitzgerald. She eloped when she was 20. It didn’t work out. She’s taking surfing lessons and is an excellent student. Miami Déco color paint series by Alcro. She listens to blues music. She can eat a bag of popcorn alone. She’s a science fiction junkie. Thanks for taking this journey into my mind. I hope you liked the format of this post as I enjoyed making it. You know I like to push tradition a little bit. Tell me, which was your favorite room? Or person? Or combination of the two? And please do feel free to mix and match. I think that would be an incredible board game. You heard it here first. I’m off to go make it! I like this game. It reminds me of one my mom used to play with us, where we’d have to come up with a name and then tell who that person was. In yours, my favorite person will always have to be the Fitzgerald lover (because Fitzgerald), and my favorite room is the one with all the plants. I just came from reading your guest post on pinkfordays, by the way, and wow, I am so feeling the whole giving ourselves time and being more aware of time thing lately. It all goes so fast, and binge watching Netflix only seems to make it go faster. Great post! Angie! Thank you so much for your thoughtful response. I love the game that you used to play with your mom. She sounds awesome. The room with all of the plans is definitely one of my favorites. And who can resist the glamour of Fitzgerald’s! I’m so glad you liked this post and my other as well. Cheila is so great at bringing people together. Amy, you just blew my freaking mind. I can’t believe you just gave me such an awesome idea you generous wonderful woman you! I am totally going to work that out. I was using that sort of concept also for my board game that I mentioned. It’s so great to hear that this format was something you really liked. Do it, it’s so you and people would LOVE it! and the board game idea would be fun too 🙂 maybe they could be like a set thing – buy the board game and a coffee table book to match! Wonderful color combinations & decor, as well as format Lyz! My favorites? Glad you like the format. It’s a really enjoyable exercise for me. I love trying creative the new things. The Jane Austen bathroom is incredible to me I would put that together tomorrow if I could. And I’ve always wanted a reading room, while Bud Lair is one of my favorites. Thanks for playing! I have hope it’ll be at your doorstep in no time (: if not, you’d do a wonderful job at making it yourself! If I was endlessly rich and I had extra rooms in my house, I would totally have a pink black and gold super girly room like this for me to go chill and read books in. In our three-bedroom I’m not sure I could talk my husband into letting me take over a room like this, especially since I told him we don’t have room for a man cave! Haha. Well, you can’t let anyone disrespect your dog! She’s gotta be my favorite lady. But my favorite room is the Joe Pug one – it’s super cool, the art is right up my alley and hello, there’s a cat. I’m moving in. I really like that girl too and the Joe Pug room is also one of my favorites. You’re right, about that living room. I think cool is the perfect word for it. I’m so glad you loved it like I do. Is your house already designed or are you working on it? Our place is a work-in-progress, but it feels like we’re on the 100-year plan 😉 We’re taking our time and slowly turning it into a home. But I’m a huge fan of design in general, and I love your eye. Keep ’em coming! I am definitely the “Virginia Woolf” lady- right on down to the pink and grey ombre mountainscape on the wall! Love it! Isn’t that ombre so freaking cool! Such a unique room. Pink and grey has been one of my favorite color combinations for decades! I usually prefer pink and gold, personally. But they picked such a wonderful hue of both that it works so well! Especially with the mountain theme! Pingback: An Interior Romance – Yes, Little Hummingbird? Previous Previous post: When Your Parent Treats You Like a Child, or I’m a Grown Up Dad!